One of Montreal's finest athletes of the early 20th century, Jack Marshall excelled at rugby, soccer, baseball, lacrosse, bowling and hockey. His hockey career began in 1889 when he traveled west to join the Winnipeg Victorias. 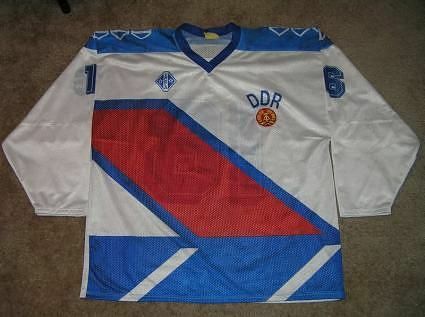 There, he played three seasons, which concluded with the Victorias defeating the Montreal Shamrocks two games to none at the Montreal Arena by scores of 4-3 and 2-1 in overtime. 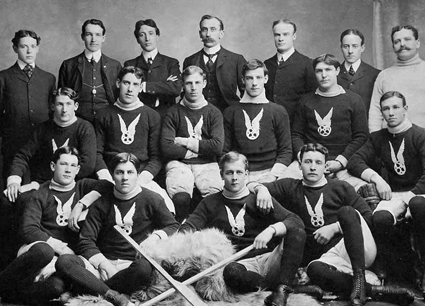 Marshall moved back to Montreal for the 1901 season in order to join the Montreal Hockey Club, also known as Montreal AAA due to their association with the Montreal Amateur Athletic Association. In 8 games, Marshall scored 11 goals, good for third in the league. Montreal, as Canadian Amateur Hockey League champions then challenged the same Winnipeg Victorias that Marshall had helped win the Stanley Cup in January of 1901. The best-of-three series was held in Winnipeg and the Victorias began their defense with a victory in Game 1 1-0, but Montreal evened the series two days late with a dominant 5-0 win, with Marshall scoring twice to force a deciding third game. In a close contest, Montreal emerged as 2-1 winners, with Marshall scoring the cup clinching goal to give him the second Stanley Cup of his career. During the 1903 CAHL season, Montreal fended off a challenge from the Victorias in an unusual series, as Montreal dominated Game 1 by a score of 8-1 followed by the second game being suspended at 27 minutes of overtime due to a curfew and the result was discarded from the record. Winnipeg fought back to win Game "2" by a score of 4-2, but Montreal retained the cup with a 4-1 triumph in Game 3. In all, Marshall was credited with 7 goals in the four games played. 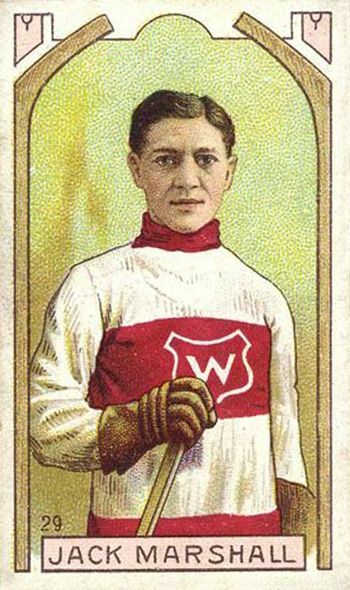 Although he remained in Montreal, Marshall wore new colors in 1904, joining the newly created Montreal Wanderers of the Federal Amateur Hockey League. 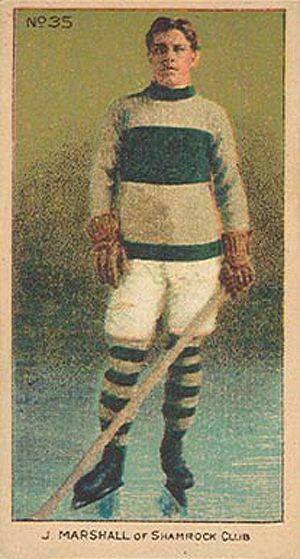 Marshall was an instant success, leading the league with 11 goals even though he only skated in four of the Wanderers six games, aided with a six goal performance against Ottawa on January 20, 1904. In an odd twist, the Wanderers had finished first in the standings, only to have the reigning Stanley Cup holders, the Ottawa Hockey Club, also known as the Silver Seven, join the FAHL after the regular season was concluded! With this unusual turn of events, the Wanderers and Silver Seven were set to play a two game series for the Stanley Cup as well as the FAHL championship. The first game concluded with the teams tied at 5-5, with Marshall having scored for Montreal before the club not only refused to play any overtime, but then requested that the game be declared a no-contest and the series start over as a best-of-three! The trustees of the cup were not amused and demanded the series continue as a two game series and Montreal responded by abandoning their challenge so the cup remained with Ottawa. The 1904-05 season saw Marshall finished tied with Ottawa's Frank McGee for the scoring title with 17 goals in 8 games played. In the 1905-06 season, Marshall played exhibition games with the Toronto Professionals. He joined the Montreal Montagnards of the FAHL for the 1906-07 season, but returned to the Wanderers when the Montagnards folded. Marshall scored an identical 6 goals in three games for each club. Marshall returned to Stanley Cup play, as the Wanderers won the Eastern Canada Amateur Hockey Association regular season, but the Wanderers fell to the Kenora Thistles 12-8 over the course of two games. 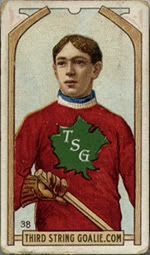 Marshall spent the next two seasons with the Shamrocks, leading the club in scoring with 19 goals in 9 games in 1907-08 followed by 10 more in a dozen games in 1908-09. 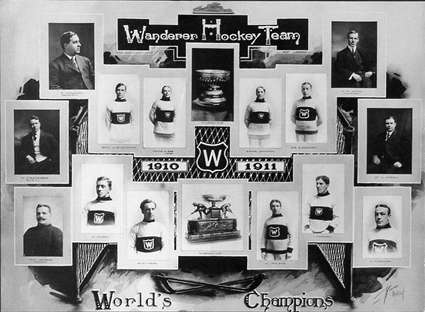 For 1909-10, Marshall once again returned to the Wanderers, who had joined the new National Hockey Association. 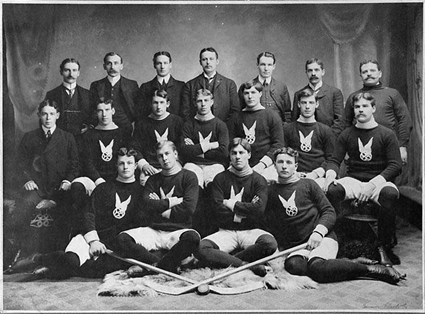 The Wanderers became the Stanley Cup holders by winning the league championship, which entitled them to take possession of the cup from Ottawa, the third different team Marshall had won a cup with. The Wanderers then defended a challenge from the Berlin Dutchmen by a score of 7-3 in the single game played. 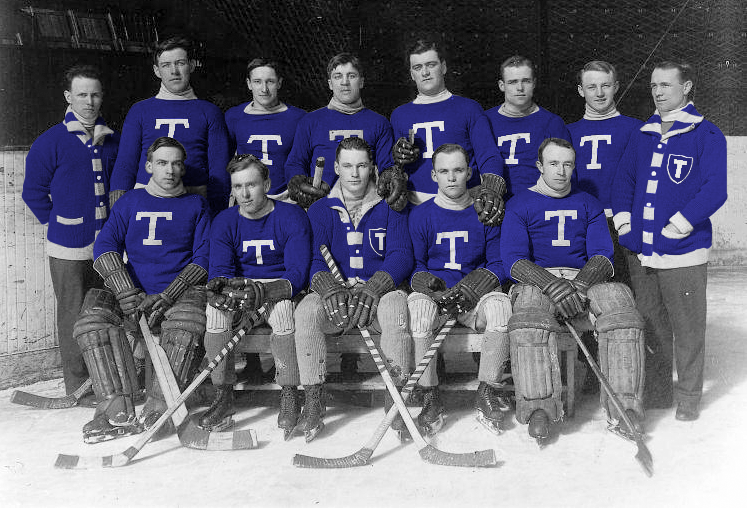 After two more seasons with the Wanderers, Marshall joined the brand new Toronto Hockey Club, commonly referred to as the Blueshirts, for the 1912-13 season. 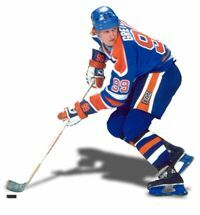 The following year Marshall, now a playing manager, skated in a career high 20 games, scoring 3 times but also being credited with his the first assists of his career with 3, as assists were not awarded in the early days of organized hockey. After Toronto and the Montreal Canadiens finished tied atop the 1913-14 standings with identical 13-7 records, Toronto won the two-games, total-goals series after dropping the first game 2-0 by winning the second 6-0 with Marshall chipping in a goal for the Blueshirts, to earn another Stanley Cup with a record fourth different club. Toronto subsequently fended off a challenge from the Victoria Aristocrats of the PCHL, sweeping three straight in the scheduled best-of-five series. Marshall would play one final season with the Blueshirts before yet again returning to Montreal, where he rejoined the Wanderers for the fourth time in his career! 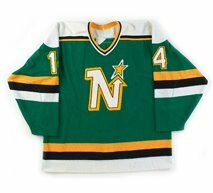 He would play 15 games in 915-16 and wrap up his career with 8 more games in the 1916-17 NHA season. On this date in 1965, it was announced that Marshall would be inducted into the Hockey Hall of Fame later that year and he remains the only player to win the Stanley Cup with four different clubs. 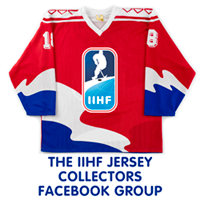 Today's featured jersey is a 1902 Montreal AAA Jack Marshall jersey. 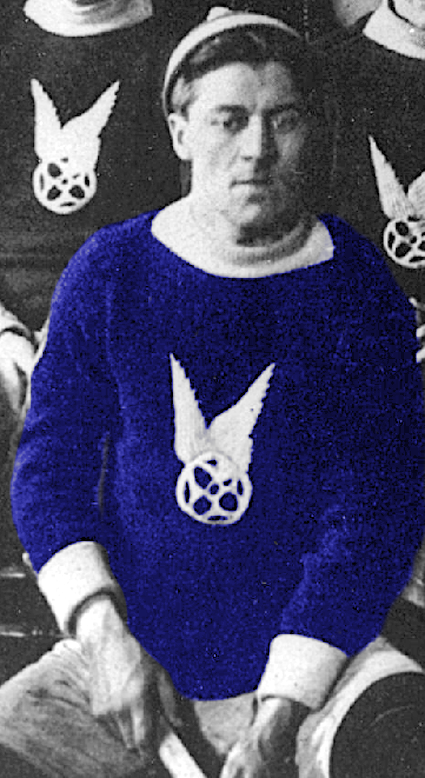 Also known as the Montreal Hockey Club, the Montreal Amateur Athletic Association (AAA) wore blue sweaters with adorned with a winged wheel, which would later be revived by James Norris, founder of the Detroit Red Wings as the Red Wings logo, which remains in use today. 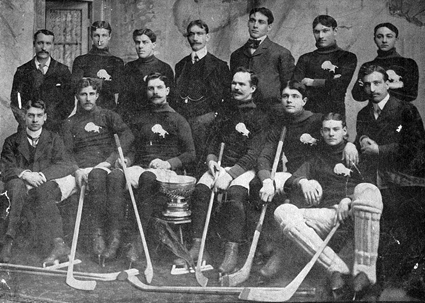 The Montreal Hockey Club was founded in 1884 and was the first team to hold the brand new (and substantially shorter) Stanley Cup in 1893. They would also again be holders of the cup in 1894, 1902 and 1903. The club would remain as amateurs until 1906, and after two seasons as a professional club, returned to the amateur ranks and eventually win the Allan Cup in 1930 and change their name to the Montreal Royals in 1932.